Deep Silver ditching Steam for the Epic Games Store on the PC for Metro Exodus, two Fantastic Four suits now available for free in Marvel’s Spider-Man, and “Ghost Survivor” brings three side-stories to Resident Evil 2. 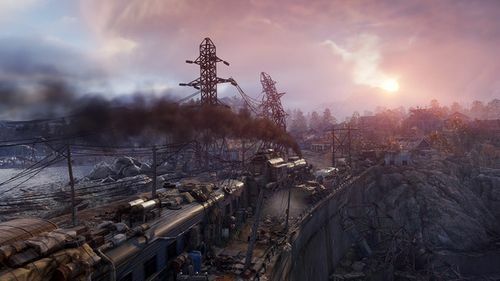 In what might soon become a trend on PC, Deep Silver and Epic have reached an agreement that will have Metro Exodus exclusively on the Epic Games Store. There are a couple of reasons why this deal is significant. One, along with Tom Clancy’s The Division 2, Metro Exodus becomes the second AAA title to back out of Steam and go to the Epic Games Store. And two, the game has been available for pre-order on Steam for some time so changing now can be upsetting to some customers. But fear not! For those who already pre-ordered the game on Steam you will receive your copy on Epic when it launches on February 15th. If you’ve been waiting to make your purchase, it is your lucky day as the sale price on Epic’s store is $49.99 opposed to the normal AAA price of $59.99. Steam is not happy about this as they state on the Metro Exodus page “the decision to remove the game is unfair to Steam customers, especially after a long pre-sale period”. They do have a point. Does anyone really want several different game launchers and remembering which game is on which storefront? In the end though, does anyone really feel sorry for Valve? A while ago Insomniac teased that something “fantastic” is coming to Marvel’s Spider-Man. While there are no new story-missions, this free DLC brings two costumes to the game based off of some encounters with the Fantastic Four. 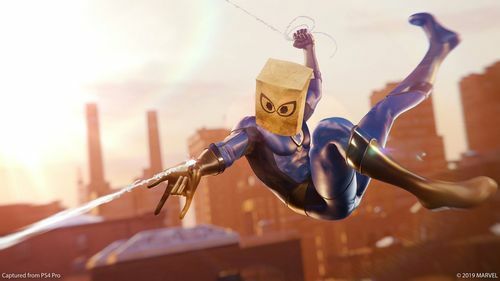 The Bombastic Bag Suit and the Future Foundation suit can be yours by downloading the latest update for Marvel’s Spider-Man today. While it has only been out for a few days, Capcom’s remake of Resident Evil 2 is going beyond everyone’s expectations. For those who have been playing the game or thinking about purchasing should be happy to know that Capcom is bringing some free DLC to RE 2 on February 15th. The Ghost Survivors are three stories of some people who don’t quite have the same luck Leon and Claire have when it comes to the zombie horde. “No Time to Mourn” follows the infamous gun shop owner Robert, “Runaway” puts you in the shoes of the Mayor’s daughter, and “Forgotten Soldier” sees you as a soldier, possibly one sent to get the G-virus. "Given that these are billed as “what-if scenarios” these characters might have a second chance to see a happy ending. More content for RE 2 is certainly welcomed, especially at the price of free.